Before we learn how to disable the interface in EU IV, I want to suggest you to save your game first. I say that because we will use the console, however, the problem is that the console will be invisible too once we disabled the UI. Don’t worry, it’s easy to get the UI back even with the invisible console, but it took me some time to fiddle around with this. So, save your game just in case you don’t manage it to enable the interface with the first tries. We will make use of the console as said. We need to open the EU4 console first, if you don’t know how to do that, you can learn about the EU4 console in one of my other guides. Once we opened the console, we will make use of the console command “debug_nogui”. Type this into the console without the quotation marks of course, and don’t forget to confirm with return. This will toggle the GUI off as you can see. Without the interface you can now take a beautiful screenshot! It would be easy to bring the UI back up, if the console would not be hidden as well now. But we can do it anyway, like a blind person, basically (laugh). Just press the key that opens the console. Now you press the arrow up key, if you moved over the map with the key, it would mean that we are still not in the console, if you don’t move over the map with the arrow key, it means the screen is fixated due to the already opened console. The latter would mean we can type “debug_nogui” again and we confirm it with return to bring the UI back up. By the way, sometimes it makes sense to use the backspace key before typing the command, because on this way we make sure that the console is really empty, otherwise we would wonder why the command is not working. Especially the last part of enabling the UI again is a bit finicky, however, once you did this a few times, it’s very easy and does take no time anymore. 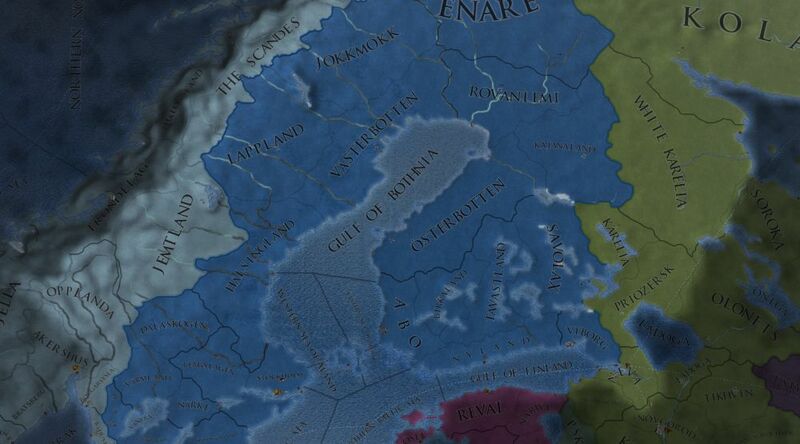 I hope you liked my short Europa Universalis IV guide. If you think this guide was helpful, I’d be thankful if you share it with your circles or social media. Also I am always happy if someone finds my comment section below. You have an additional knowledge or think something is wrong in my guide? Let me know! You just want to tell me how awesome your current game is? Sure! Let me know what nation you play and how things go! Happy map painting!